Sachin Tendulkar's Daughter Harassed from nearby telephone exchange. Accused arrested. Home » Sports » Sachin Tendulkar’s Daughter Harassed from nearby telephone exchange. Accused arrested. 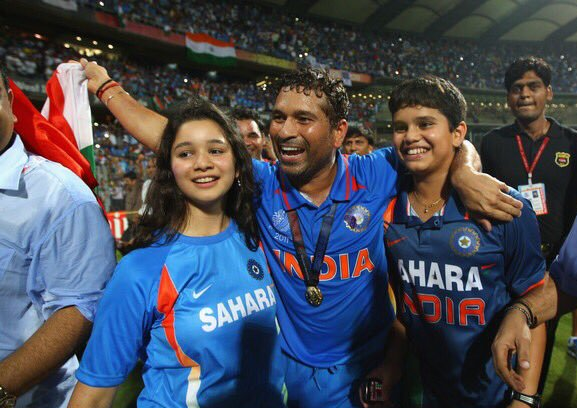 Sachin Tendulkar’s Daughter Harassed from nearby telephone exchange. Accused arrested. A man from West Bengal has been arrested for stalking the ace cricketer Sachin Tendulkar’s daughter Sara. The 32-years-old Debkumar Maity, from Mahishadal in East Midnapore district in West Bengal, has been caught for harassing and threatening the little damsel. As per the police reports, Debkumar Maity is to be produced before Haldia court and then will be taken to Mumbai for transit remand. The news is also flowing from the police that Debkumar Maity is mentally ill. As per his family and relatives, he has a long history and strong mental illness, which also includes that he troubles his family too. Though the accused is a college drop out plus unemployed. On the side of Debkumar, he has recently lost his father and has been going for medical treatment for last eight years. Also, he is quite creative and paints well, as per his family. The incident came in light after the accused said that he wants to marry Sara. And for this purpose, he made landline calls for more than 20 times and tried to purpose for marriage to Sara Tendulkar, Sachin Tendulkar’s daughter. And then, father Tendulkar, could not wait a moment and lodged a complaint at the Bandra police station after which the accused came in action. And soon the investigation started by tracking the phone calls and conclusion came that the man was using the nearby telephone tower in order to harass and stalk the little girl, Sara Tendulkar.